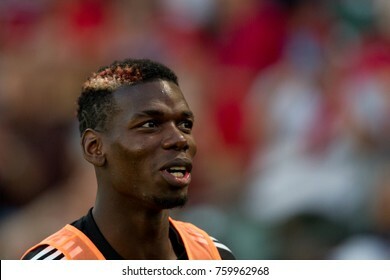 Cartera de Photo Works en Shutterstock. 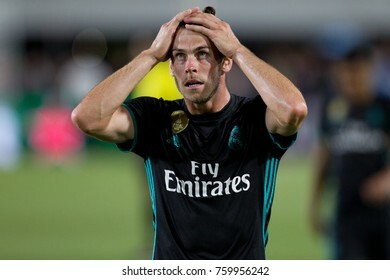 Se encuentran disponibles 8,590 fotos, vectores.e ilustraciones en stock libres de regalías. 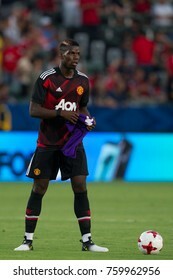 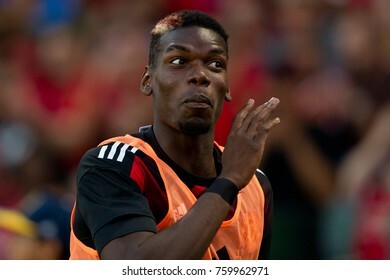 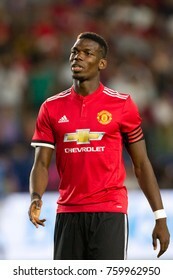 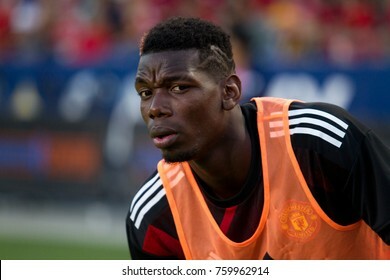 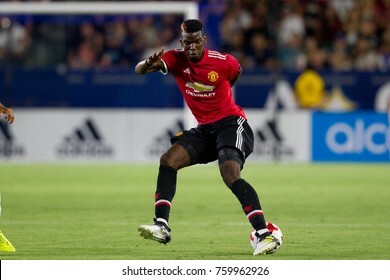 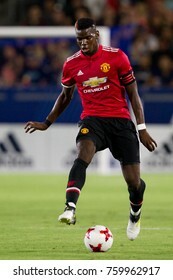 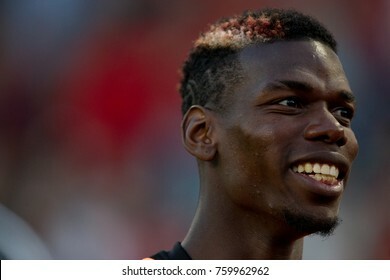 CARSON, CA - JULY 15: Paul Pogba during Manchester United's summer tour friendly against the L.A. Galaxy on July 15th 2017 at the StubHub Center. 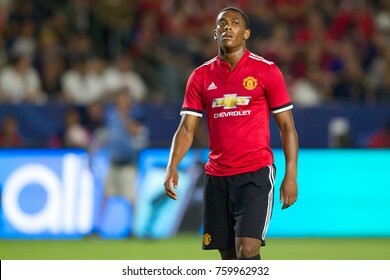 CARSON, CA - JULY 15: Anthony Martial during Manchester United's summer tour friendly against the L.A. Galaxy on July 15th 2017 at the StubHub Center. 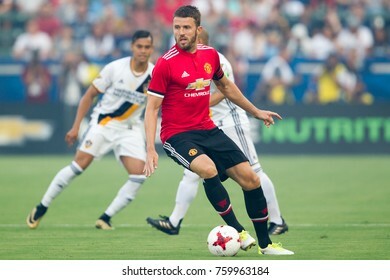 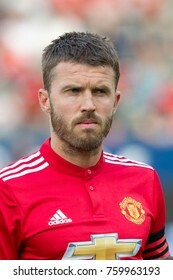 CARSON, CA - JULY 15: Michael Carrick during Manchester United's summer tour friendly against the L.A. Galaxy on July 15th 2017 at the StubHub Center. 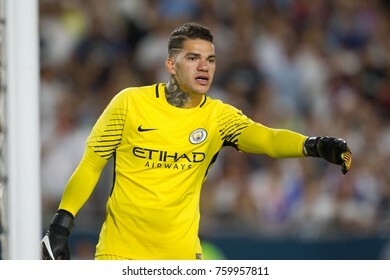 LOS ANGELES, CA - JULY 26: Ederson Moraes during the 2017 International Champions Cup game between Manchester City and Real Madrid on July 26th 2017 at the Los Angeles Memorial Coliseum. 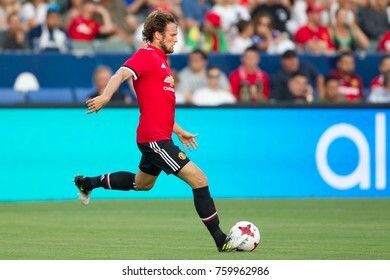 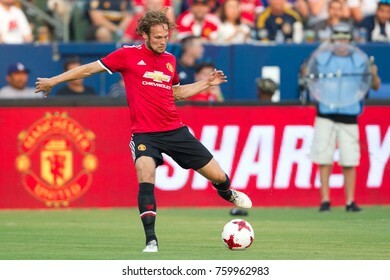 CARSON, CA - JULY 15: Daley Blind during Manchester United's summer tour friendly against the L.A. Galaxy on July 15th 2017 at the StubHub Center. 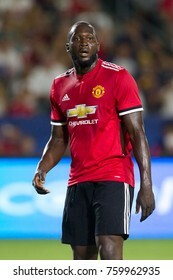 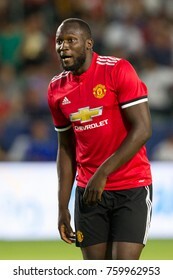 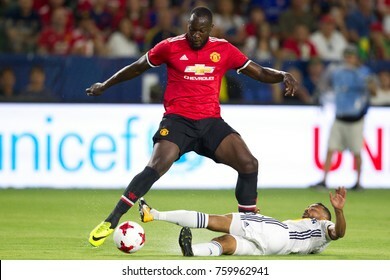 CARSON, CA - JULY 15: Romelo Lukaku during Manchester United's summer tour friendly against the L.A. Galaxy on July 15th 2017 at the StubHub Center. 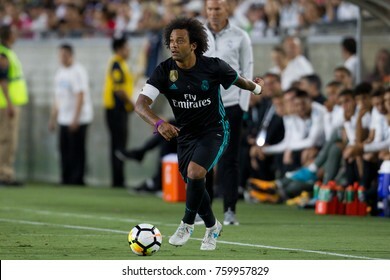 LOS ANGELES, CA - JULY 26: Marcelo during the 2017 International Champions Cup game between Manchester City and Real Madrid on July 26th 2017 at the Los Angeles Memorial Coliseum. 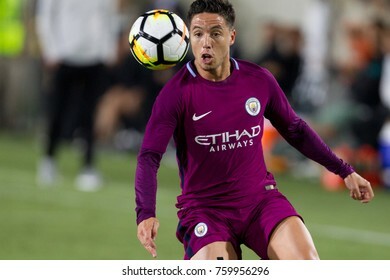 LOS ANGELES, CA - JULY 26: Samir Nasri during the 2017 International Champions Cup game between Manchester City and Real Madrid on July 26th 2017 at the Los Angeles Memorial Coliseum. 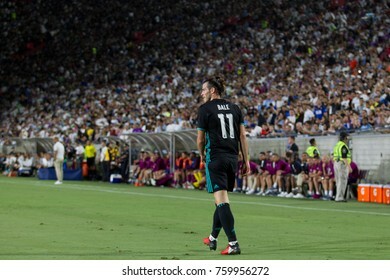 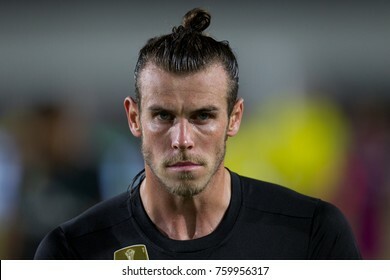 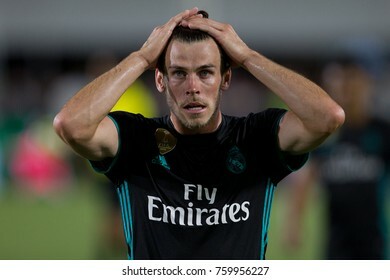 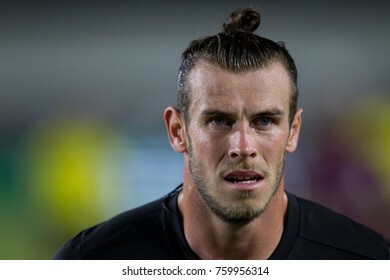 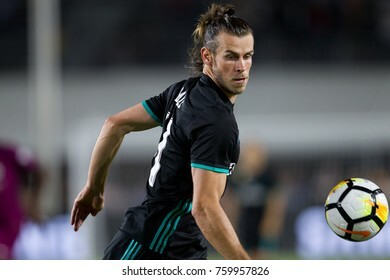 LOS ANGELES, CA - JULY 26: Gareth Bale during the 2017 International Champions Cup game between Manchester City and Real Madrid on July 26th 2017 at the Los Angeles Memorial Coliseum. 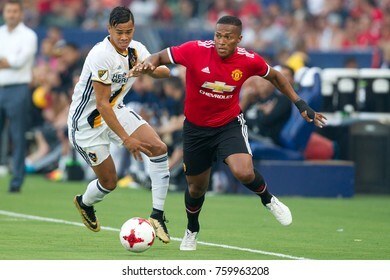 CARSON, CA - JULY 15: Antonio Valencia (R) & Ariel Lassiter (L) during Manchester United's summer tour friendly against the L.A. Galaxy on July 15th 2017 at the StubHub Center. 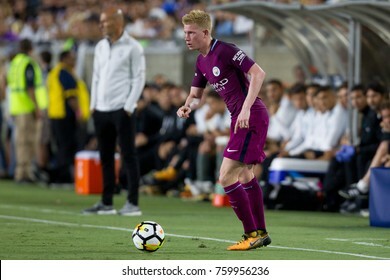 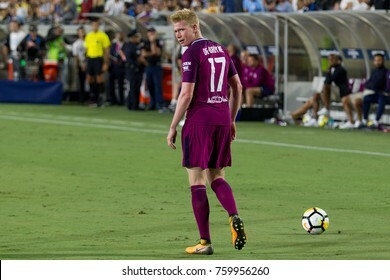 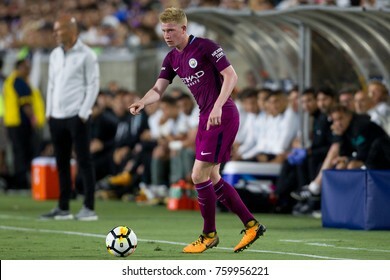 LOS ANGELES, CA - JULY 26: Kevin De Bruyne during the 2017 International Champions Cup game between Manchester City and Real Madrid on July 26th 2017 at the Los Angeles Memorial Coliseum. 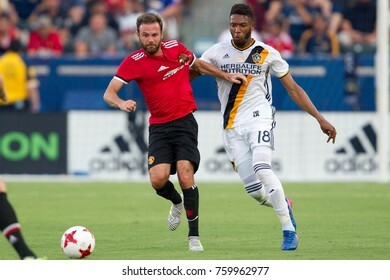 CARSON, CA - JULY 15: Juan Mata (L) & Bradley Diallo (R) during Manchester United's summer tour friendly against the L.A. Galaxy on July 15th 2017 at the StubHub Center. 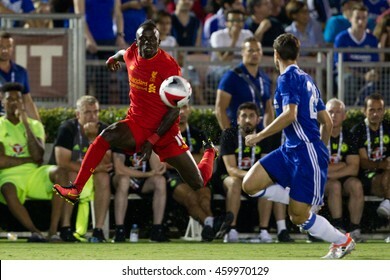 PASADENA, CA - JULY 27: Sadio Mane during the 2016 ICC game between Chelsea & Liverpool on July 27th 2016 at the Rose Bowl in Pasadena, Ca. 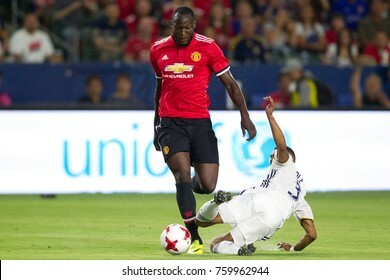 CARSON, CA - JULY 15: Phil Jones during Manchester United's summer tour friendly against the L.A. Galaxy on July 15th 2017 at the StubHub Center. 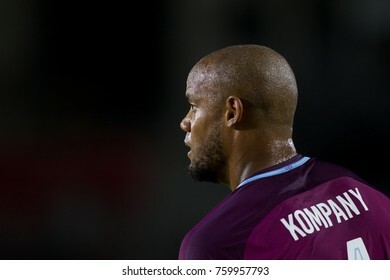 LOS ANGELES, CA - JULY 26: Vincent Kompany during the 2017 International Champions Cup game between Manchester City and Real Madrid on July 26th 2017 at the Los Angeles Memorial Coliseum. 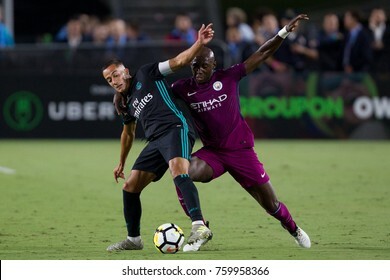 LOS ANGELES, CA - JULY 26: Benjamin Mendy before the 2017 International Champions Cup game between Manchester City and Real Madrid on July 26th 2017 at the Los Angeles Memorial Coliseum. 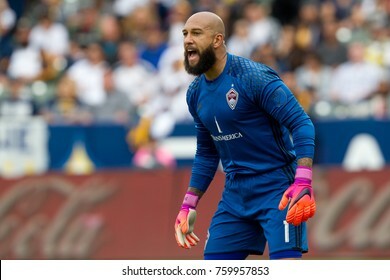 CARSON, CA - OCT 30: Time Howard during the MLS Playoffs Semifinals - Leg 1 between the Colorado Rapids & the Los Angeles Galaxy on October 30th 2016 at the StubHub Center. 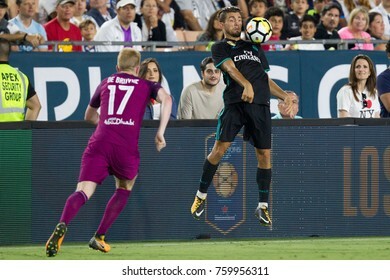 LOS ANGELES, CA - JULY 26: Luka Modric during the 2017 International Champions Cup game between Manchester City and Real Madrid on July 26th 2017 at the Los Angeles Memorial Coliseum. 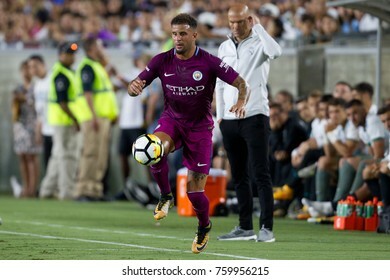 LOS ANGELES, CA - JULY 26: Kyle Walker during the 2017 International Champions Cup game between Manchester City and Real Madrid on July 26th 2017 at the Los Angeles Memorial Coliseum. 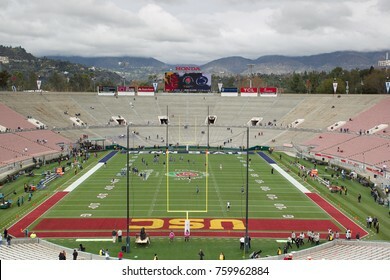 PASADENA, CA - JAN 2: A general view of the Rose Bowl stadium before the 103rd Rose Bowl Game between the Penn State Nittany Lions & the USC Trojans on January 2nd 2017 at the Rose Bowl. 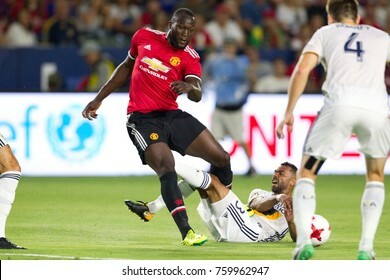 CARSON, CA - JULY 15: Romelo Lukaku & Ashley Cole during Manchester United's summer tour friendly against the L.A. Galaxy on July 15th 2017 at the StubHub Center. 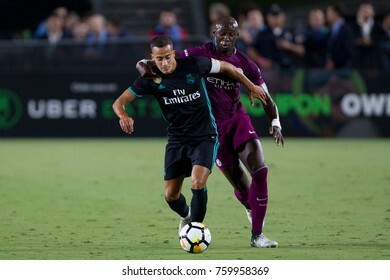 LOS ANGELES, CA - JULY 26: Lucas Vazquez & Eliaquim Mangala during the 2017 International Champions Cup game between Manchester City & Real Madrid on July 26 2017 at the Los Angeles Memorial Coliseum. 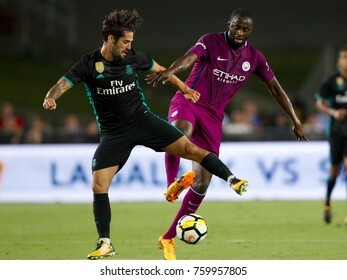 LOS ANGELES, CA - JULY 26: Isco & Yaya Toure during the 2017 International Champions Cup game between Manchester City and Real Madrid on July 26th 2017 at the Los Angeles Memorial Coliseum. 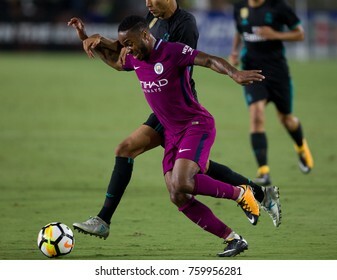 CARSON, CA - OCT 30: Ashley Cole before the MLS Playoffs Semifinals - Leg 1 between the Colorado Rapids & the Los Angeles Galaxy on October 30th 2016 at the StubHub Center. 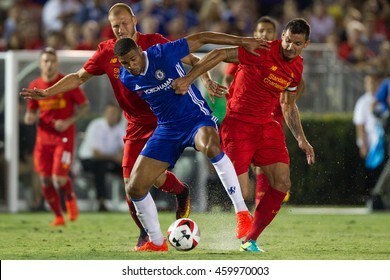 PASADENA, CA - JULY 27: Ruben Loftus-Cheek, Dejan Lovren, & Ragnar Klavan during the 2016 ICC game between Chelsea & Liverpool on July 27th 2016 at the Rose Bowl in Pasadena, Ca. 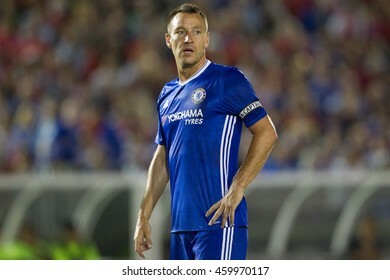 PASADENA, CA - JULY 27: John Terry during the 2016 ICC game between Chelsea & Liverpool on July 27th 2016 at the Rose Bowl in Pasadena, Ca. 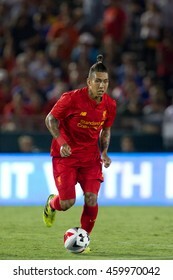 PASADENA, CA - JULY 27: Roberto Firmino during the 2016 ICC game between Chelsea & Liverpool on July 27th 2016 at the Rose Bowl in Pasadena, Ca. 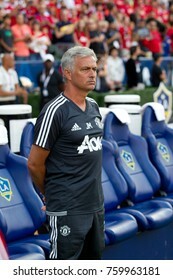 CARSON, CA - JULY 15: Jose Mourinho during Manchester United's summer tour friendly against the L.A. Galaxy on July 15th 2017 at the StubHub Center. 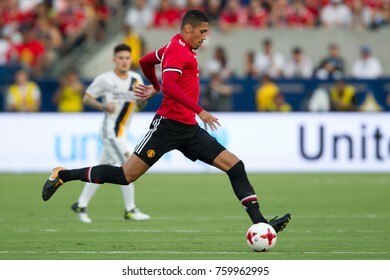 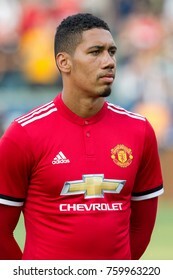 CARSON, CA - JULY 15: Chris Smalling during Manchester United's summer tour friendly against the L.A. Galaxy on July 15th 2017 at the StubHub Center. 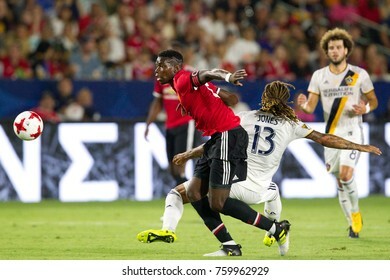 CARSON, CA - JULY 15: Paul Pogba & Jermaine Jones during Manchester United's summer tour friendly against the L.A. Galaxy on July 15th 2017 at the StubHub Center. 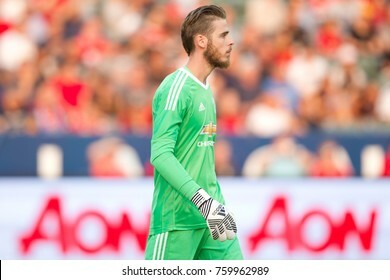 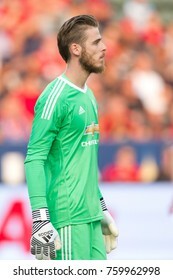 CARSON, CA - JULY 15: David De Gea during Manchester United's summer tour friendly against the L.A. Galaxy on July 15th 2017 at the StubHub Center. 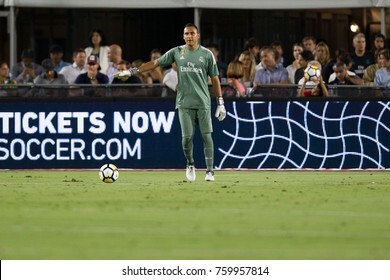 LOS ANGELES, CA - JULY 26: Keylor Navas during the 2017 International Champions Cup game between Manchester City and Real Madrid on July 26th 2017 at the Los Angeles Memorial Coliseum. 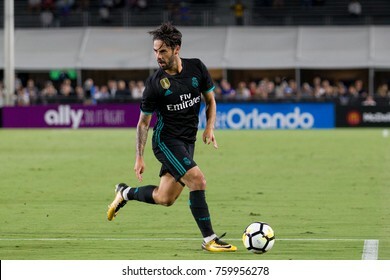 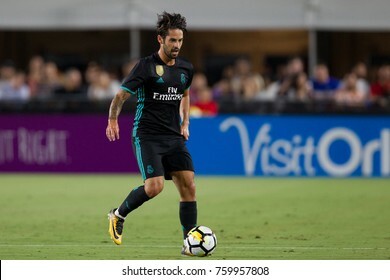 LOS ANGELES, CA - JULY 26: Isco during the 2017 International Champions Cup game between Manchester City and Real Madrid on July 26th 2017 at the Los Angeles Memorial Coliseum. 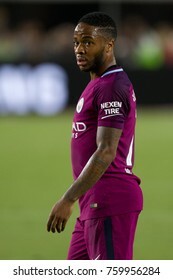 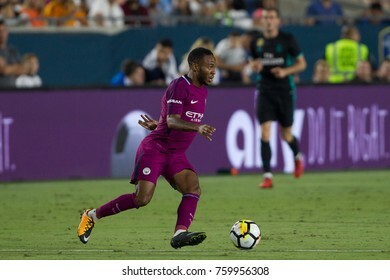 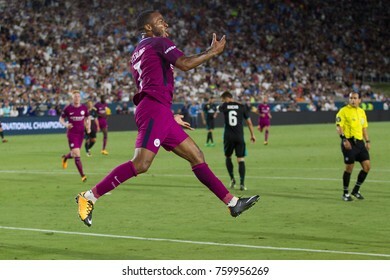 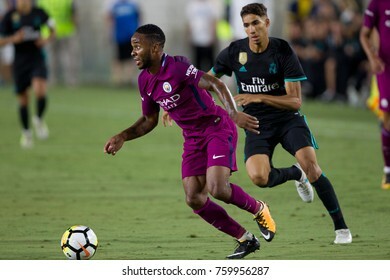 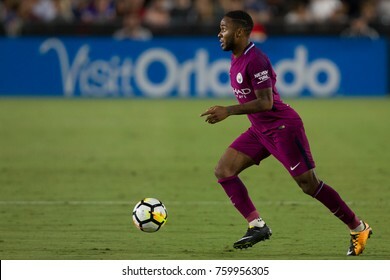 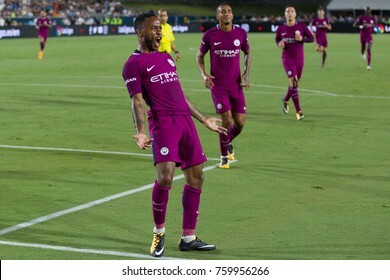 LOS ANGELES, CA - JULY 26: Raheem Sterling during the 2017 International Champions Cup game between Manchester City and Real Madrid on July 26th 2017 at the Los Angeles Memorial Coliseum. 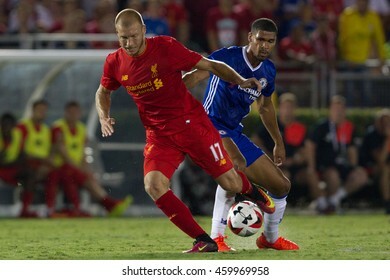 PASADENA, CA - JULY 27: Ragnar Klavan & Ruben Loftus-Cheek during the 2016 ICC game between Chelsea & Liverpool on July 27th 2016 at the Rose Bowl in Pasadena, Ca. 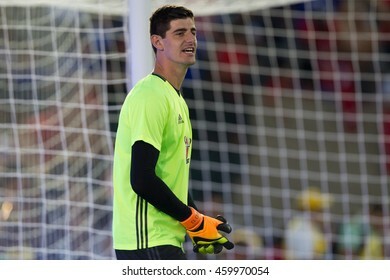 PASADENA, CA - JULY 27: Thibaut Courtois during the 2016 ICC game between Chelsea & Liverpool on July 27th 2016 at the Rose Bowl in Pasadena, Ca. 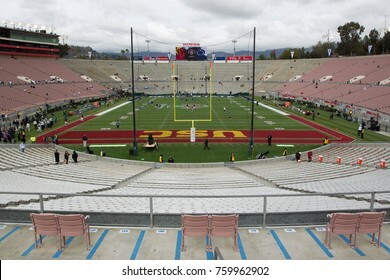 PASADENA, CA - JAN 2: Trace McSorley during the 103rd Rose Bowl Game between the Penn State Nittany Lions & the USC Trojans on January 2nd 2017 at the Rose Bowl. 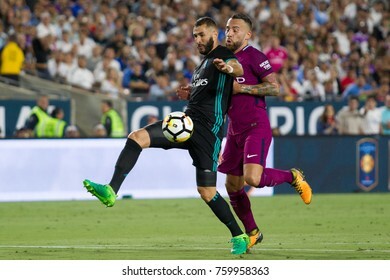 LOS ANGELES, CA - JULY 26: Karim Benzema & Nicolas Otamendi during the 2017 International Champions Cup game between Manchester City & Real Madrid on July 26 2017 at the Los Angeles Memorial Coliseum. 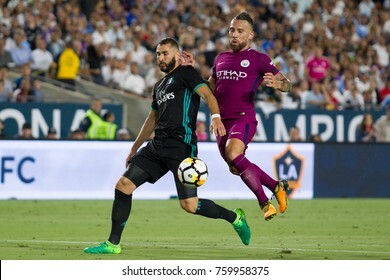 LOS ANGELES, CA - JULY 26: Karim Benzema during the 2017 International Champions Cup game between Manchester City and Real Madrid on July 26th 2017 at the Los Angeles Memorial Coliseum. 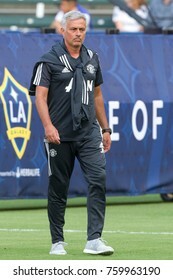 LOS ANGELES, CA - JULY 26: Pep Guardiola during the 2017 International Champions Cup game between Manchester City and Real Madrid on July 26th 2017 at the Los Angeles Memorial Coliseum. 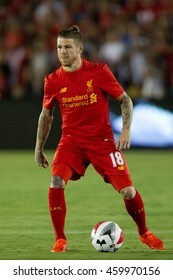 PASADENA, CA - JULY 27: Alberto Moreno during the 2016 ICC game between Chelsea & Liverpool on July 27th 2016 at the Rose Bowl in Pasadena, Ca. 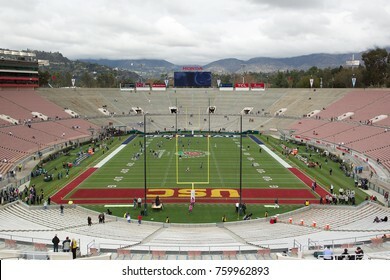 PASADENA, CA. 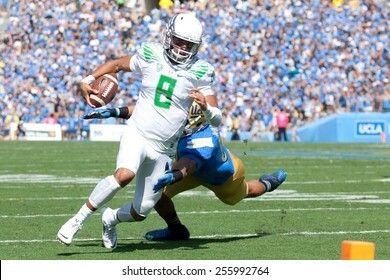 - OCT 11: Oregon QB Marcus Mariota in action during the UCLA football game on October 11th 2014 in Pasadena, California. 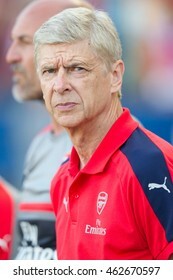 CARSON, CA - JULY 31: Arsenal manager Arsene Wenger during the friendly soccer game between Chivas Guadalajara and Arsenal on July 31st 2016 at the StubHub Center. 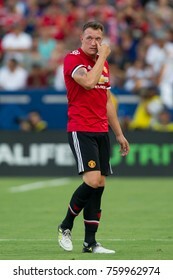 PASADENA, CA - JULY 27: Gary Cahill during the 2016 ICC game between Chelsea & Liverpool on July 27th 2016 at the Rose Bowl in Pasadena, Ca. 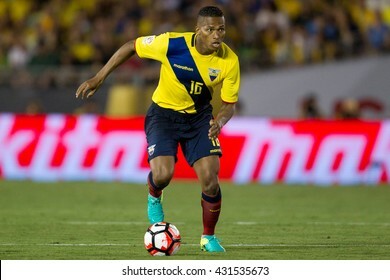 PASADENA, CA - JUNE 4: Luis Valencia during the COPA America game between Brazil & Ecuador on June 4th 2016 at the Rose Bowl in Pasadena, Ca. 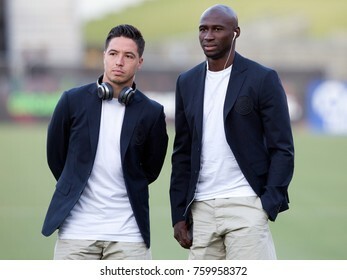 LOS ANGELES, CA - JULY 26: Samir Nasri & Eliaquim Mangala before the 2017 International Champions Cup game between Manchester City & Real Madrid on July 26th 2017 at the Los Angeles Memorial Coliseum. 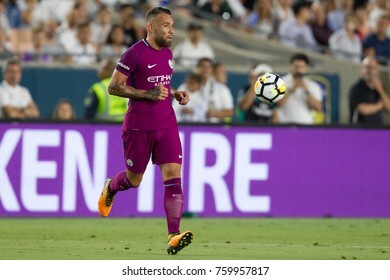 LOS ANGELES, CA - JULY 26: Nicolas Otamendi during the 2017 International Champions Cup game between Manchester City and Real Madrid on July 26th 2017 at the Los Angeles Memorial Coliseum. 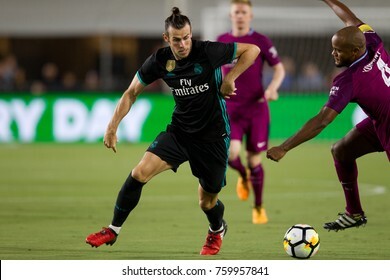 LOS ANGELES, CA - JULY 26: Eliaquim Mangala before the 2017 International Champions Cup game between Manchester City and Real Madrid on July 26th 2017 at the Los Angeles Memorial Coliseum. 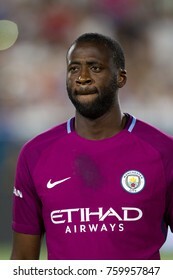 LOS ANGELES, CA - JULY 26: Yaya Toure during the 2017 International Champions Cup game between Manchester City and Real Madrid on July 26th 2017 at the Los Angeles Memorial Coliseum. 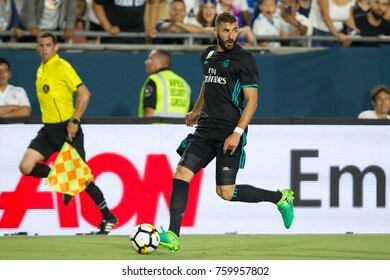 LOS ANGELES, CA - JULY 26: Mateo Kovacic during the 2017 International Champions Cup game between Manchester City and Real Madrid on July 26th 2017 at the Los Angeles Memorial Coliseum. 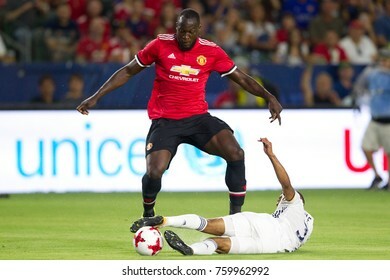 CARSON, CA. 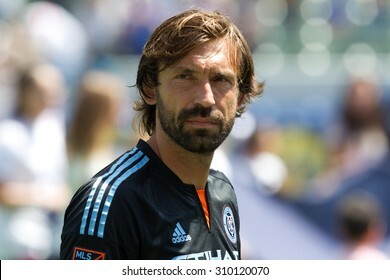 - AUG 23: Andrea Pirlo during the L.A. Galaxy game against New York City FC on Aug 23, 2015 at the StubHub Center in Carson, California. 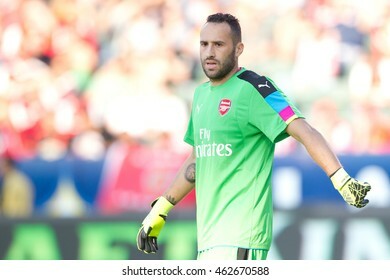 CARSON, CA - JULY 31: David Ospina during the friendly soccer game between Chivas Guadalajara and Arsenal on July 31st 2016 at the StubHub Center. 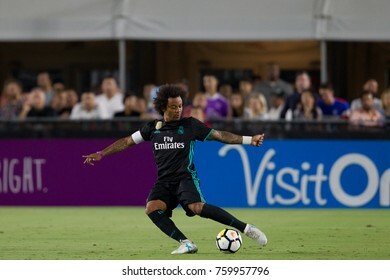 PASADENA, CA - JUNE 4: Dani Alves during the COPA America game between Brazil & Ecuador on June 4th 2016 at the Rose Bowl in Pasadena, Ca.